In April, a group launched a lawsuit against the school, insisting that Harvard University release hidden information regarding its admissions. 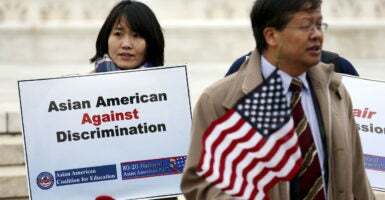 The organization leading the lawsuit is Students for Fair Admissions, which is comprised of Asian-American students who applied to get into Harvard and were rejected. The group says it believes the school is guilty of racial discrimination, specifically against students of Asian descent. Harvard has refused to release information about its application process, calling it a vital trade secret. This case could certainly make its way to the Supreme Court. But beyond the legal issue at stake, the case reveals the general problem with the cult of diversity peddled on American college campuses. The devotion to multiculturalism—the ever-present left-wing philosophy framing the issue of race in terms of oppressor vs. oppressed groups—utterly dominates America’s “elite” institutions. In this case, the desire to lump students into groups and tailor admissions around the objective of racial diversity has made that system discriminatory toward well-qualified individuals. The stultified culture of diversity becomes malignant when it’s used to discriminate against some groups for doing too well, such as with Asian applicants to an elite school. But even without these egregious examples, it damages the idea that Americans are to be judged as individuals, not groups. Research on who ends up getting into Ivy League schools shows just how much more difficult it is for Asian students to do so than other ethnic groups. One Princeton study from 2009, for instance, shows that Asian students have to score on average 140 points higher on their SATs than white students to gain admission to the school. A recently released paper published by the Center for Equal Opportunity and authored by Althea Nagai, a research fellow, demonstrates this point about admissions. What was revealing is that in schools that did not have affirmative action programs, such as Caltech, there was an explosion of Americans of Asian descent getting into the schools in the past two decades. Even when statistically controlling for other variables including social class, gender, extracurricular activities, test scores and grades, AP [Advanced Placement] classes, and athletics, Asian-American applicants were less likely to be admitted to America’s elite colleges and universities compared to whites, African-Americans, and Hispanics. So-called holistic admissions and diversity goals enable discrimination against Asian-American applicants, much as the Harvard plan of the 1920s, also using holistic admissions, did against Jewish applicants. What Nagai and others claim is that the opaque admissions process at Harvard and other Ivy League schools is simply a mask for a system to get the “right” numbers for racial groups. In other words, a quota. 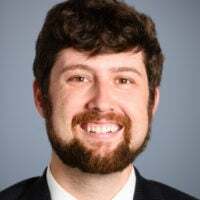 Glenn Reynolds, a University of Tennessee law professor and conservative commentator, explained in USA Today how Ivy League schools used similar methods to discriminate against Jews in the past. To ensure fewer Jews at their schools, schools would change their admissions criteria “to reward ‘leadership’ and ‘well-rounded’ candidates—a thin disguise for ‘WASPs—and, following closely on, actual quotas for Jewish students, so that no matter how many applied, their numbers on campus would stay just about the same,” Reynolds said. “After several decades, this came to be seen as racist and unfair, and the quotas were dropped,” he said. Harvard’s admissions system demonstrates the problem with racial categorizing in America. Much of what college campus ideology teaches is that diversity is everything. However, increasingly, the only diversity that matters is racial diversity, not diversity of opinions or thought. When a racial category breaks the mold of the prevailing ideology of grievance, the system swoops in to punish them, possibly creating a new round of genuine grievance. Perhaps in the end, this country is better and stronger when our schools, at least, enforce the idea that citizens will be treated equally as Americans and nothing but Americans.